The annual Paradox Convention was held in Reykjavik, Iceland from January 27 to February 2, 2013. This is a large event where the Swedish publisher/developer and Evolve client Paradox Interactive welcomes media and sales reps to see what is coming up from their in-house development team, Paradox Development Studios, and the external devs they work with. Here at Evolve, we work with Paradox Dev Studios, the bunch of very talented people behind Paradox’s flagship historical strategy series. At past events, media were often shown these games and maybe given a brief hands-on, but it proves difficult to tell if ideas about the game are coming through clearly, if the hands-on time was long enough or if there is any real enthusiasm. This year, we had the bright idea to organize some of the media attendees for what we called a Strategy Master Class – four hours of on-site multiplayer action over two days, for two of Paradox’s upcoming titles: March of the Eagles, a Napoleonic War game that will be released very soon, and Europa Universalis IV, the fourth version of the game that put Paradox on the map. I learned a lot watching the Master Class, both about games that I know very well, and about what makes a multiplayer media event successful. Hit the jump for some insight. 1) Proximity Matters: Though it would have been possible to arrange an event like this over the internet — and in the future we may — having all the media there in one city, and, in this case, in one room, gave a number of advantages. First, it allowed the overseers of the event (the dev team and myself) to go around and answer any questions, clarify unclear points or give the occasional struggling player a bit of a tip. This reduced frustration and kept the game moving. More importantly, having everyone together meant that you had the amiable cross-table shouting you would get at a friendly neighborhood LAN party or living room game session, and the chance for everyone to talk about the games afterwards. Grudges from one day spilled over into the next, rivalries were formed, strategies compared. Since no player can see what is going on over the whole map, post-game chats became excited revelations of “You were going to do X? But I had planned Y!” Everyone was in the same game, too, so the participants always had something relevant to share with each other. Both strategy class sessions have led to very positive articles about the experiences from participants. 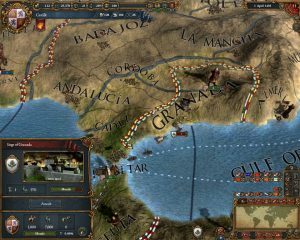 2) New Experiences Better Than Old: Though long popular in parts of the Paradox community and in the development office, the grand strategy games have generally been covered as single-player games. This is understandable – the Paradox games usually consume many hours, having too few active players can lead to someone taking too much control too early, and unless you are active in the community it can be difficult to find people to play with. So exposing the journalists to the games as multiplayer experiences was something entirely new. While this may not be an appropriate point for games that are either exclusively multiplayer or have a single popular multiplayer mode, the stats about people that only play games single-player apply to media as well. So if you can arrange a multiplayer event that gives the experience a new spin or unveils a new and exciting mode, then you have a chance for everyone to learn to play together. 3) If Things are Slow, Make Things Happen: Sometimes it takes a little push to get people interacting with each other. 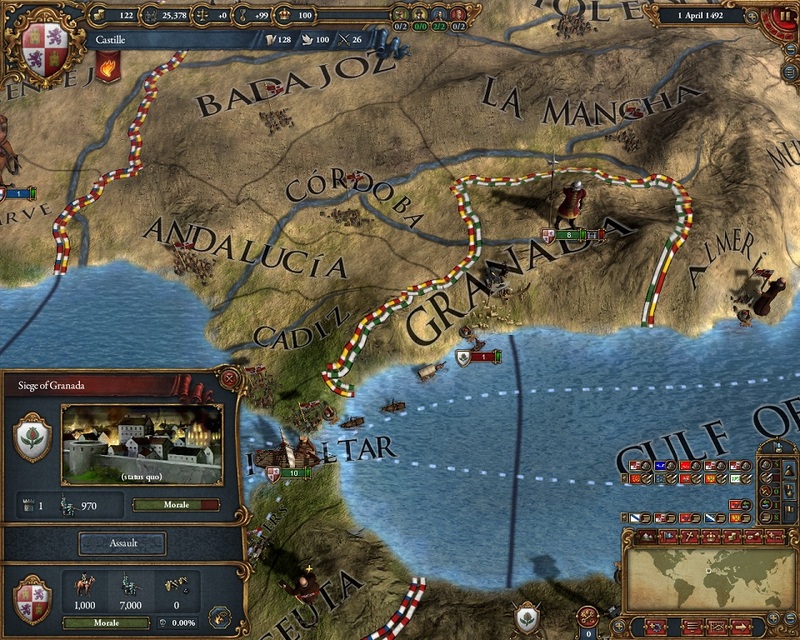 In single-player mode, Paradox game players can pause the game at will, examine items in detail, and plan perfectly. Multiplayer is a different speed, and you have to push people to take some action. In March of the Eagles, this was relatively easy – the game starts with most people at war or ready to jump into one. In Europa Universalis IV, there was a big war in France involving a few players. Now, it’s not that war is the only action, but in two hours, no one was going to be settling Australia. So, every now and then, one of the developers would point to an opportunity that could be exploited, either targeting an AI-controlled nation or another player. Guiding the action, even a little bit, makes the map change and that is what makes these games exciting – seeing history change around you. Manufacture trouble, show someone a neat trick, even give someone a small leg-up to keep the gameplay experience fresh and interesting. 4) Notice How the Game Changes: After many hours of playing March of the Eagles in single player, it was obvious how tenuous anyone’s grasp on power was. The AI will exploit opportunities, most powers will have to wait for the right moment to strike, and eventually a good player will wear down the computer opponents. 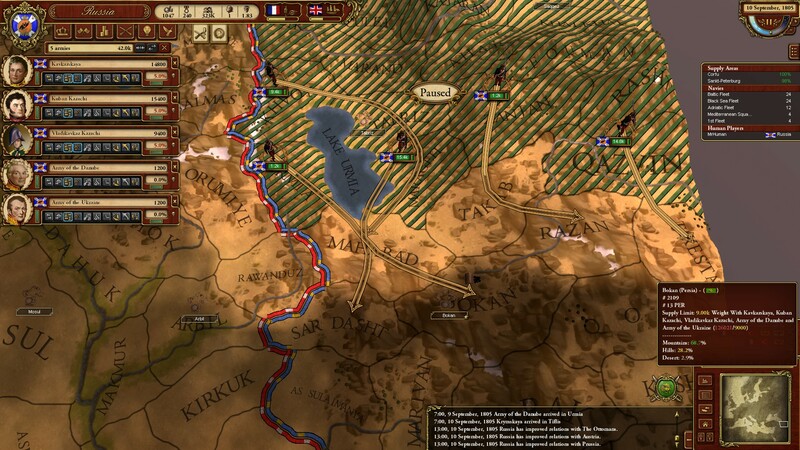 In multiplayer, March of the Eagles is a knife fight in a phone booth – seven or eight strong powers jockeying for power, switching allegiances, making bad peace deals on one front so they can focus on another. If you are showing a first person shooter, the single-player campaign will obviously differ from any multiplayer deathmatch, but in many other game types it is not always obvious how the transition from one human player to many can turn your product into something beautiful and unique to that experience. With EU4, we have a chance and time to work more multiplayer features and pitches into our PR planning; human opponents are unreliable and the diplomatic meter means nothing. There was also some downtime just before the March of the Eagles session because the tight planning of the event (compressing many games and many presentations in one convention center) meant that about 20 minutes was lost as we tried to make sure we had the right number of computers and accessories gathered and assembled. This is always a risk with off-site events, and, as usual, the Paradox team pulled it off with aplomb and good spirit. And the media didn’t mind sitting around and talking about what would happen. But I would love to have those 20 minutes back to see if Russia would have smacked down the Ottoman invasion. In all, the event was a great success and I hope we can plan more of these for our clients. What could have been the usual admiring but standoffish reports about these grand strategy games were transformed into loving odes to plans gone awry or those scheming Austrians.